In an industrial workspace in a not-so-hip area of Brooklyn, a construction robotics startup called Asmbld is working on a project that aims to change the way we live within indoor spaces. It looks like a cross between a Terminator movie and LEGOs. Little blocks rise out of the floor to create walls, tables and surfaces, and sink back down again in a fluid motion. That’s because all of the building materials — enough 5-inch tiles and aluminum studs construct thousands of 6-inch cubes — are flat-packed and stored underneath the floor of the room. 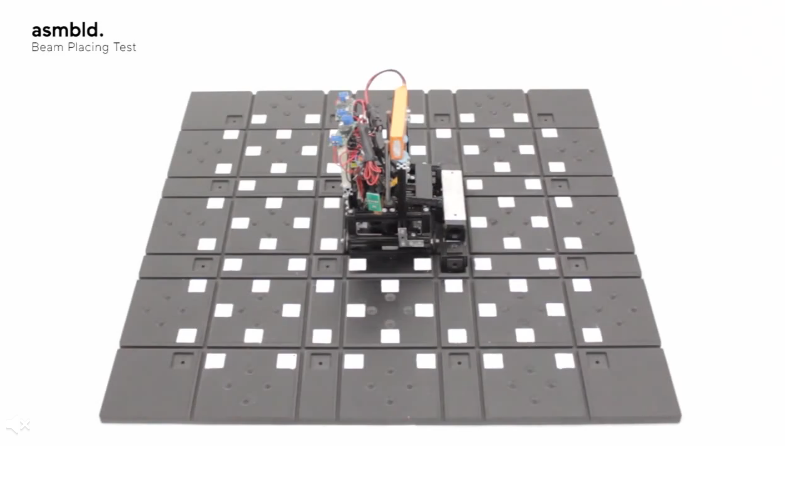 Little robots live in this 5-inch space hidden below the floor, where they assemble the cubes one layer at a time, move them to the correct location, and lift them into place. The robots are battery-powered, so they can go back to a charging dock (similar to a Roomba) when they’re running low on energy. “It’s like 3D printing upside down,” says Asmbld co -founder Petr Novikov. You want that conference room in your startup’s office to be converted into a lounge after the weekly all-hands is over? Done. Wish your studio apartment could be a bedroom at night and an open workspace during the day? That’s possible, too. While DOM Indoors is currently being tested on a smaller scale, ASMBLD is in talks with a large co-working space to implement the robotic flooring in its facilities. While it sounds complex, the installation process is actually rather simple. 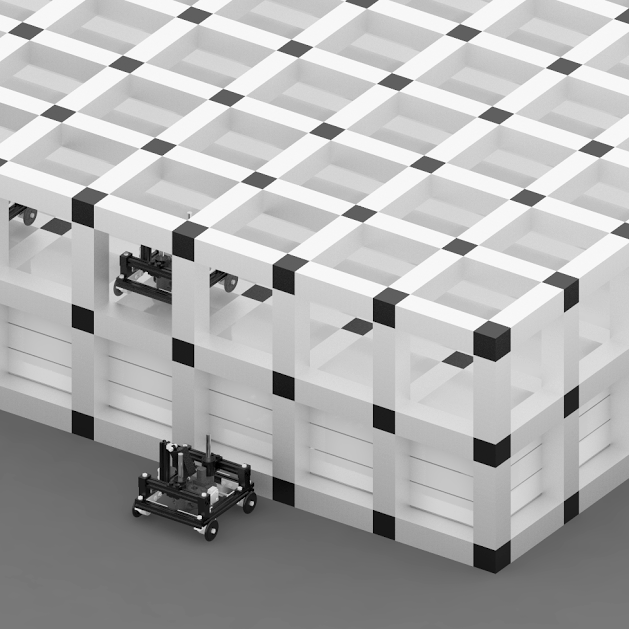 Asmbld proposes to re-floor a space with a robotic floor that’s 5 inches higher than the existing one, in approximately the same amount of time that traditional re-flooring takes. For a 500-square-foot room, it would cost around $12,000 to install, Asmbld reports, but savings add up fast for the building owner when labor and material costs are zero for each subsequent wall configuration. If a robot senses something above it that’s heavier than usual, it will alert the entire system to stop moving in order to prevent any safety hazards. If something breaks, the system can pinpoint the exact location of the compromised robot so it can be easily removed or repaired. From an environmental perspective, the argument for reusable spaces is obvious. Construction and demolition waste comprises 40 percent of landfill mass in the U.S., and 60 percent of building demolition is due to changes in tenant requirements, not physical condition. And this doesn’t account for the massive savings in time and labor costs when you replace human workers with DOM’s robots. In order for DOM Indoors to be viable in real life, the plastic tiles will have to be interchangeable with a variety of materials. A plastic tiled wall is one thing, but tables and beds (as demonstrated in the video) clearly require a different composition.